There is no better way to celebrate that special day than by sending this sweet indulgence to show them you care. Send the best of wishes with this premium Vanilla Bean Birthday cake. 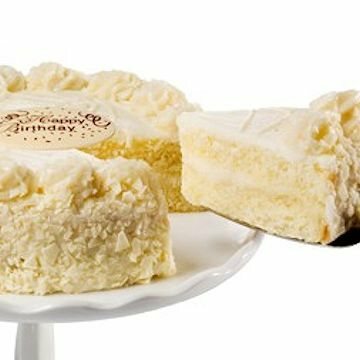 This ultimate white on white delight is made with two yellow cake layers filled with clouds of vanilla whipped cream mousse, then covered with luscious buttercream and garnished with white chocolate and more mousse. The cake is topped off with a Belgian chocolate plaque inscribed with your occasion selection. * Cake is 7 inches, serves 6-8 people and ships frozen.